User experiences in the healthcare sector tend to be notoriously complicated. Finding a well-reviewed local doctor, dentist, or specialist, checking whether they will accept your insurance, and scheduling an appointment can often feel like pulling teeth (pun intended). Transforming the complexity of healthcare into a delightful experience—especially on mobile—isn't easy, so when we hear about products like Zocdoc working to improve the experience, our ears tend to perk up. Zocdoc is on a mission to make managing your health a little easier. 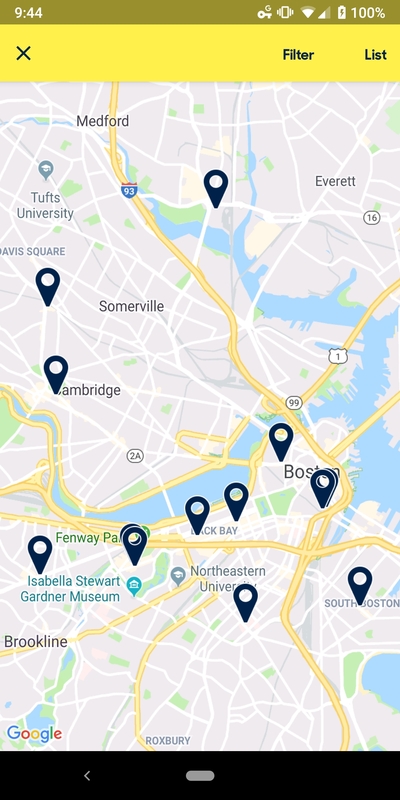 Zocdoc is an online medical-care search and booking service designed to make it easier for users to connect with local physicians and specialists. Users can enter their personal and insurance information, search well-reviewed in-network providers by specialty, and make an appointment within the app. Upon opening the app, users are shown Zocdoc's default tab, where they can jump straight into the primary use case: finding a healthcare provider. With only three basic form fields, each of which have prefilled default entries that cover the majority of users, it's easy to begin narrowing down providers by specialty and the reason for the visit. 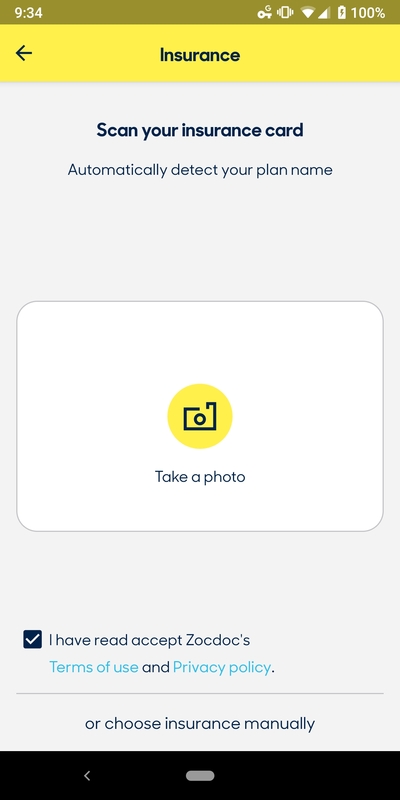 For users who might not be familiar with the specifics of their insurance plans, Zocdoc provides the option of taking a photo of an insurance card to automatically detect insurance details. After entering their search details, Zocdoc provides users with a feature-rich list of in-network physicians. The list provides ratings and locations for each provider, as well as available appointment times. The list of providers can be narrowed further with granular filtering capabilities and a map view. After choosing a provider, booking an appointment is extremely easy: Users simply choose from the listed times and then enter their details to create their account. Zocdoc breaks the onboarding process into multiple steps—finding a doctor, entering insurance details, choosing an appointment time, and creating an account. By segmenting the onboarding process, Zocdoc is able to greatly simplify the tedious process of healthcare forms, allowing users to quickly access most of the product's value. The app makes great use of the camera on most mobile devices to simplify the process of entering insurance information while still giving the option of entering details manually. 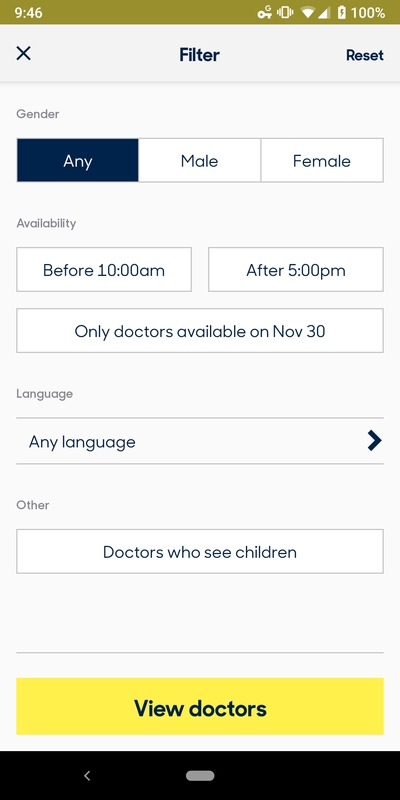 The app's bright color scheme and friendly microcopy (“Feeling meh?”) help users overcome the uncertainty many associate with scheduling a doctor's appointment.